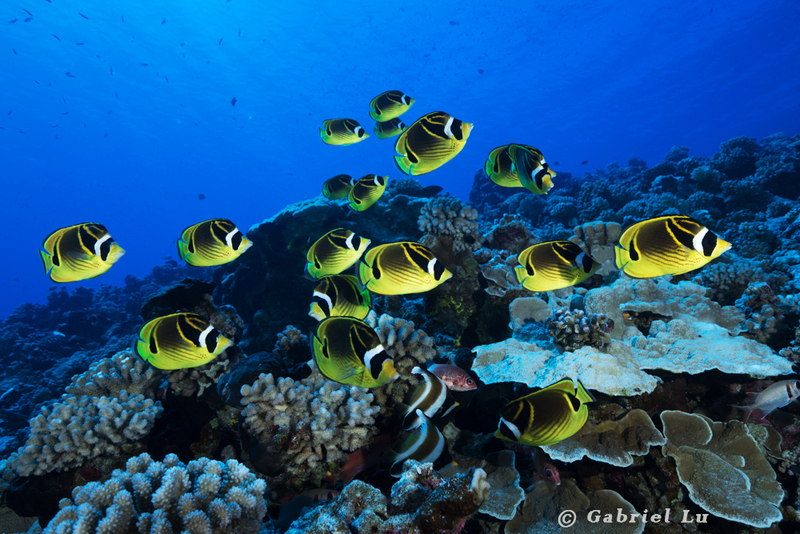 Raccoon butterflyfish (Chaetodon lunula) is common throughout the Indo-Pacific region. It is known to feed on soft-bodied invertebrates including nudibranchs and sea anemones. As you can see in this picture, it often seen in small aggregates around shallow coral reef. Please Note: This is a printout of the Ocean Safari Scuba | Blog | Group of Bandits Underwater page from 04/22/2019. Some information may have been updated in the mean time. Please visit PAGE URL to view the latest up-to-date information or call us at 626-287-6283 if you have any questions.